John Wren, Michael Roth and Martin Sorrell vow to protect their workers from executive order restricting immigration from seven countries. Two days after an executive order by President Donald Trump that banned foreign nationals from seven countries from entering the US, the CEOs of the top three advertising holding companies have issued statements vowing to protect their employees. 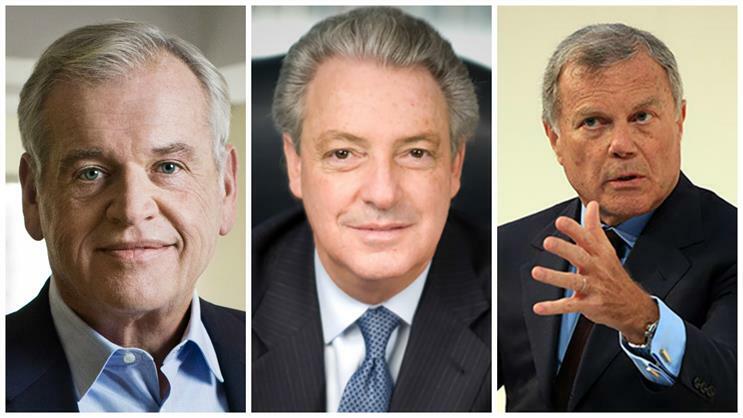 "We are a talent business and we've long been committed to making diversity and inclusion a core part of our company's DNA," said Interpublic Group Chairman and CEO Michael Roth, in a statement. "We therefore remain committed to protecting our colleagues, and will provide whatever assistance is necessary to keep our employees and their families safe and a valued part of our organization, no matter their nationality or religious beliefs." While IPG is based in New York City, the holding company has agencies and employees in more than 100 countries worldwide. Though Roth made no specific mention of the ban in his statement, it was issued in response to requests to address the situation. Likewise, John Wren, CEO of Omnicom Group, issued a brief statement emphasizing the company’s concern for its workforce. "Our people are our greatest asset and right now, our top priority is to protect and support employees, their families and all those otherwise affected," Wren said. Martin Sorrell, CEO of WPP, issued a somewhat more extensive statement that cited his family history and a longstanding distaste for such measures. Regarding the effect of the ban on WPP employees, Sorrell said there had been "no immediate impact we are aware of in the first few days of the ban." He added that WPP is "concerned about the impact it may have on our people and their families both inside and outside the USA and on innocent people generally. "As the grandson of Eastern European grandparents, who were admitted to the UK in the very late 19th and early 20th centuries, I have an instinctive dislike of such measures," said Sorrell. Update: MDC Partners CEO Scott Kauffman also released a statement on Monday. "First and foremost, we are committed to protecting and supporting all members of the MDC Partners community and their families," he said. "We will provide any assistance necessary, including legal counsel and support, to ensure that our colleagues are safe and thriving. Our industry is built on the creativity of a diverse global community, and we work hard every day to maintain an environment that is inclusive and supportive of great talent from all walks of life. We believe that our differences allow us to build the strongest connections, and we stand with all employees who wish to express their talents and creativity in our agencies, our industry and our country." Though prominent industry partners such as Nike, Google, Twitter and Apple made their opposition to the travel ban public over the weekend, the major holding companies and agency leaders had remained silent until Monday morning. Individual agency leaders have still refrained from commenting on the matter publicly. The ban, which restricts immigration from seven Muslim-majority countries, lead to widespread protests at airports around the country since it was signed on Friday. On Saturday, a federal judge issued a stay that forced the administration to release certain travelers being detained in airports. The administration itself revised the ban on Sunday to allow freer travel for US residents in possession of green cards.